Quickly connect scanners, lasers, and all devices together. Control Bi-Directional data flow from MES to all devices. Provide animated graphics of system. Store and retrieve all data in a commonized sql database. Error proof the manufacturing process! User configuring is fast and easy! 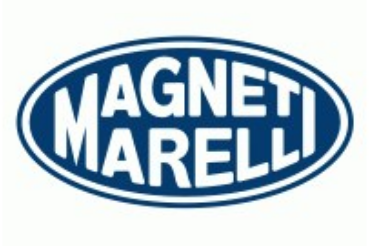 "...We are currently using the Plant Watch product from HTE. Our deployment takes data from over twenty scanners, processes the data with a rules based engine and then write the information to a SQL database that support key business processes. Plant Watch provided an activity dashboard to assess system and scanner activity. We have found the HTE team to provide excellent technical support, and solid product training. We found the price point and richness of the tool to exceed our requirements..."
Error proofing with process control reduces build errors and ensures correct product routing. Plantwatch®’s simple configuration uses drop down menus and a simple graphics editor to allow you to quickly create and deploy your application. Serialized or Lot based operations can be monitored, controlled, and logged to provide you with valuable real time or historical information. Allows browsing of any ODBC database and delivered with a highly optimized SQL database. Serialized or Lot based operations can be monitored, controlled, and logged to provide you with valuable real time or historical information. 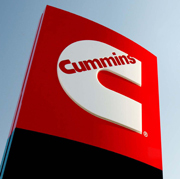 Error proofing with process control reduces build errors and ensures correct product routing. Bi-directional connectivity to plant devices/systems allows process data to be married to a final product’s historical genealogy enabling manufacturers to easily quarantine and/ or recall defective product by running a simple report. 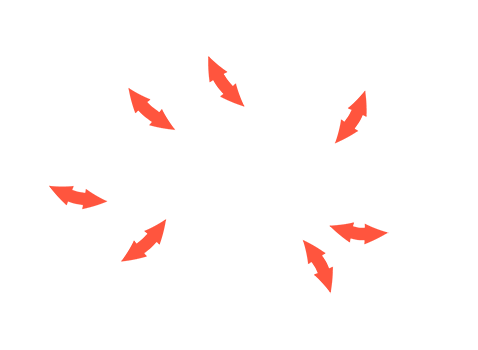 See documentation on the resources page. 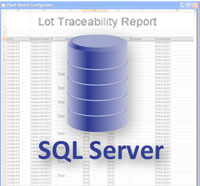 Plantwatch® stores data within SQL Servers. Each parts attributes, along with process parameters and consumed materials, are stored in SQL. This allows analytical reports to be created for forward and reverse genealogy and process parameters. Plantwatch® has a user friendly graphics system where the user can create their desired screens with inputs, outputs, buttons, images and more. 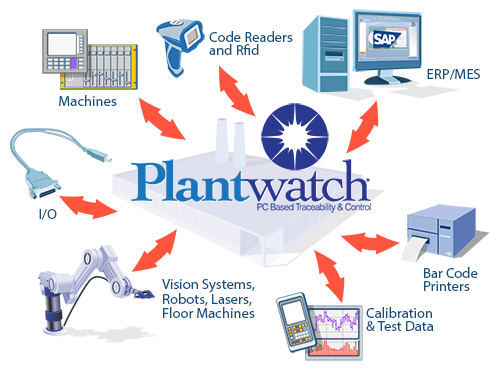 Plantwatch® allows you to make logical application decisions with its powerful Logic Chart engine. The logic combined with powerful operations such as (WriteToOpc) allows complex logic to easily be created. All easily interfaced to Plantwatch®. Database browser is one of the many logic chart actions. The Database Browser action allows you to interact with a SQL database. You can insert, delete, update or select records from any table within the database. These tools can be configured with where clauses to limit the records affected. 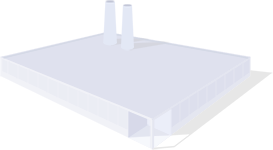 Multiple records can be affected at one time with the Array feature. File Manager is one of many logic chart actions. The File Manager action allows you to interact with the files located on the file systems available to the local computer. You can copy, rename or delete files. You can create or remove directories. You can also check for the existence of a specific file or directory. 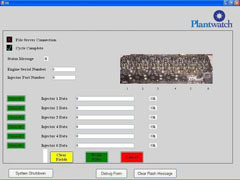 Web Client is Plantwatch’s multiple user system. With Web Client you can have many users all working on a single application. Each user will have their own copy of the Plantwatch user screens and will be able to navigate and monitor/control just as if they were at the main cpu.